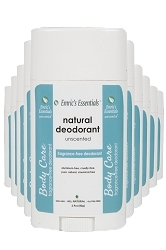 Our Fragrance-Free formula is a must-have for those seeking powerful deodorant protection that effectively helps counteract underarm odor. 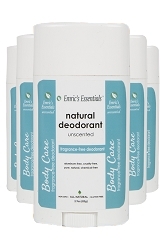 Non-greasy, non-sticky feel. Easily absorbed; application requires only a small amount. * Emric's Essentials ship from a separate warehouse via USPS. You will receive an email once a shipping label has been created for your order. Please allow 7-10 days for this item to ship.